Former Premier League champions Chelsea have explained why they signed striker Gonzalo Higuain from Juventus. Chelsea signed Higuain on a six-month loan deal on Wednesday, with an option to buy the 31-year-old for £32.5million in the summer. Chelsea Director Marina Granovskaia said the club signed Higuain because the Argentine international had previously worked with the Blues manager, Maurizio Sarri, during their time at Napoli. Granovskaia also said that Higuain is familiar with Sarri’s style of coaching. 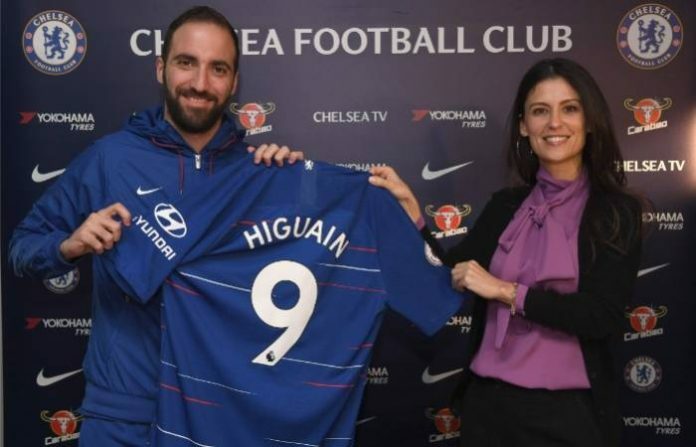 “Gonzalo Higuain was our number one target in this transfer window and arrives with a proven record at the highest level,” Granovskaia told Chelsea’s official website. “He [Higuain] has previously worked with Maurizio to great effect and is familiar with how the coach likes to play.